One of the most involved aspects of foundation repair services is raising a home up from its original foundation’s level. Foundation raising is a time-consuming project and one that involves a ton of effort. If you believe that home requires foundation raising, Foundation Repair Houston offers quality service that achieves results. 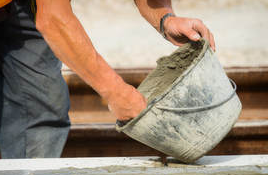 Before using anyone else, call on the top name in Houston, Texas, foundation repair services. The process of foundation raising is precisely what it sounds like. By using a variety of hydraulic lifts and jacking equipment, your home is literally lifted up from the foundation below. While this may sound unnecessary at first, there are plenty of reasons why a homeowner may elect to have this service completed. Although it’s among the most involved and expensive foundation repair types, it may be necessary for your home. Houston is no stranger to extreme flooding. If your home is in a typical or known flood area, or you experience seasonal rising waters, you may want to consider having your home lifted. Increased moisture and water levels are common sources of foundation structural issues. If your foundation remains soaked for too long, it can easily crack and break. Increased humidity and moisture are also warning signs of water pooling inside of your home, especially if you have a basement area or crawlspace. By lifting your home, you may be able to avoid issues associated with rising water and moisture. Most people in the market for a new home move for increased living space. However, raising your home may be the more affordable option. Even if you find the “perfect” new home to buy, it may not feel like home. Lifting your existing home and adding on new bedrooms and spaces may be the best choice for you and your family. Moving houses is an exhausting process, and usually, one that involves many things going missing or breaking. Before deciding to pack everything up, consider merely raising your home instead. How Much is Home Lifting? The reason that home raising services are expensive is that there are many factors involved in the process. Construction permits are required, and the process of obtaining them is entirely out of our control. In addition to waiting for city approval to begin work, there is also the issue of home space. Larger houses are more expensive as they require additional reinforcement. Costs involved with lifting a home can run anywhere and may be as much as purchasing a new home. However, single-story houses, homes with few bedrooms, and those that don’t need to be raised higher than a few feet are less expensive. With each additional floor is added weight that has to be safely moved vertically higher. This is obviously more dangerous and requires more precautions. The good news is that this is one of the best preventative maintenance solutions, and it can prevent equally high, if not higher, repair costs later in life. Call today for your home lifting!